One of Jamaica’s most soulful Reggae artists Asante Amen is currently working on a full length album with Boom One Records (BOR) based in North Carolina, USA. The album will be called Chapter and it has 9 tracks and features collaborations with Reggae acts such as Lutan Fyah, Leaf of Life and the Kurfew Band. The album will be released by Boom One Records worldwide in digital format and physical copies will be produced on an ‘as needed’ basis. From the soul stirring opening track Rastafari Love to the melodic ode to the strength of a woman in Firm; and the impressive re-make of the Inner Circle classic Sinners -now called Wages of Sin -Chapter will lock its listeners in deep meditation. The set closes out with a provocative roots tune called Are You Sure? (Hola Chant). 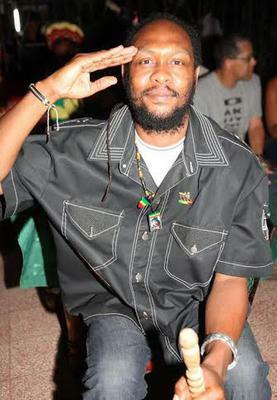 In this track Asante Amen is asking everyone that has pledged allegiance to Rastafari – including himself – to check if they are right with JAH and if they have been obedient to the teachings of H.I.M Haile Selassie 1st.